The International Myopia Institute (IMI) white paper reports are a landmark, peer consensus publication authored by over 80 leading academics across the world. Published on 28 February in high ranking journal Investigative Ophthalmology and Visual Science, the seven papers detail Definitions of myopia, genetics, experimental models, interventions for controlling myopia onset and progression, clinical trial standards and instrumentation for research, industry guidelines and ethics, and clinical management guidelines. This series of podcasts explores each of the papers with the lead author, and the whole suite of open access papers can be downloaded here. 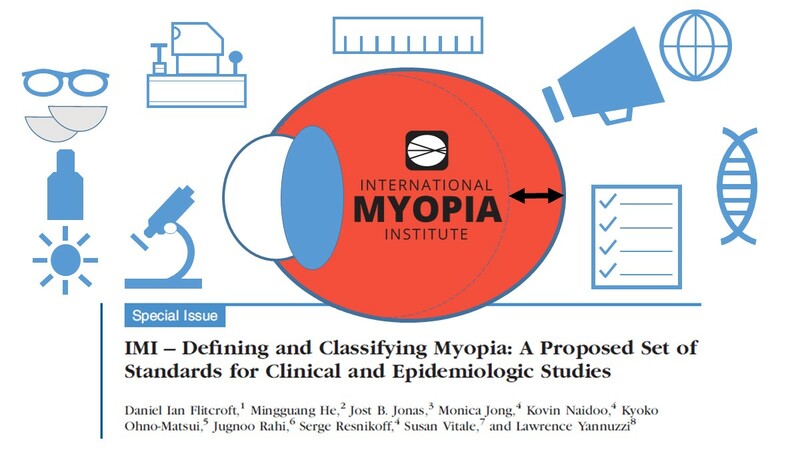 In the first podcast, we explore the IMI paper entitled Defining and Classifying Myopia: a proposed set of standards for clinical and epidemiological studies. The lead author was Professor Ian Flitcroft, a pediatric ophthalmologist at the Children’s University Hospital and scientist at the Technological University, both in Dublin, Ireland. The purpose of this paper was to provide a standardized set of terminology, definitions, and thresholds of myopia and its main complications. Ian and I discuss why we need to define myopia for clinical, epidemiological and research reasons; how and why we define high myopia; grading systems for myopic macular degeneration and other structural complications of myopia; why the refractive definition doesn't specifically require cycloplegia and the definition of pre-myopia.